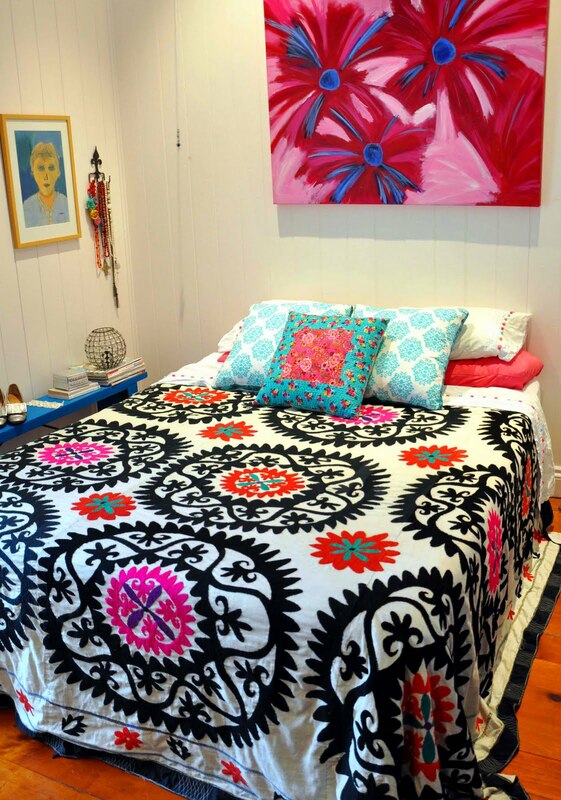 There's only one thing I love more than seeing my pieces in customer's homes, and that's finding out they have a blog! Jenny's is My Pink Door, and you can see more piccies of her beautiful bedroom here. PS Does she actually have a pink door? Yesyesyes! Oh that is a beautiful bedroom! 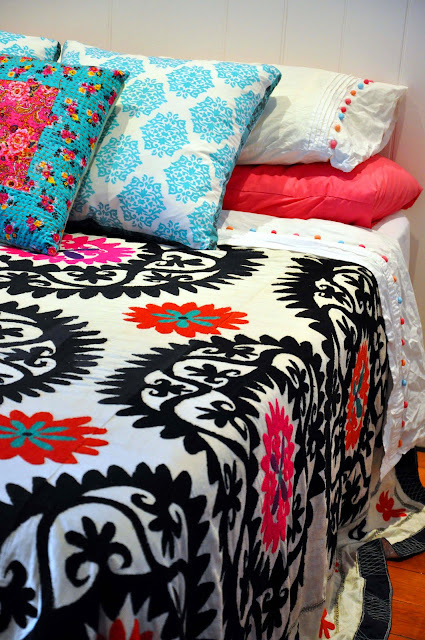 I'm loving seeing you're fabulous stuff in people's homes - can't wait to see more. 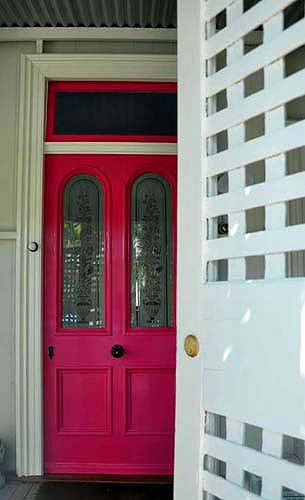 Oh my goodness, I have serious door envy, that colour is amazing! i'm in love with this bead spread! Gorgeous. That bed is wonderful.